The Geothermal Energy Exhibition at Hellisheiði Power Plant is a state-of-the-art look into the harnessing of geothermal energy in Iceland. 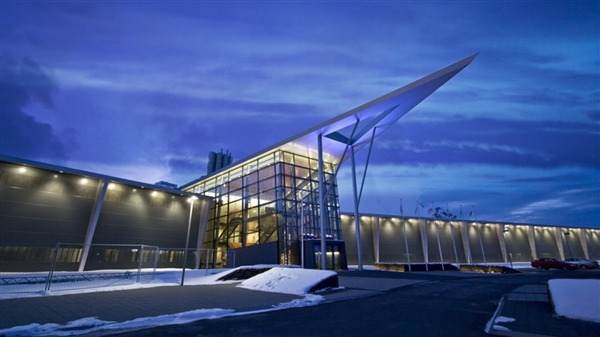 The plant is owned by Reykjavík Energy and is a striking example of how geothermal energy is harnessed in a sustainable manner and a showcase for the rest of the world. Experienced guides are on-hand to provide informative presentations backed by multimedia shows about sustainable green energy as a global energy resource, since geothermal resources can be found worldwide. The feature on the origin of geothermal energy is available in Icelandic, English, French, German, Spanish, Chinese and Japanese! There is a coffee shop on-site with an interesting local handicraft centre. The Hellisheiði Power Plant is a 20 minute drive from Reykjavík on Route 1, towards Hveragerði. Open daily from 09:00 – 17:00. TourDesk is a comprehensive tour-booking service aimed to simplify the booking process of our clients by creating a platform between operators and our clients. If you have any concerns or comments regarding your purchase, please contact us. © 2013 - 2019 Tourdesk. All Rights Reserved. This feature will not work unless you consent to using cookies on this site.